Tis the season for cookies and treats for all your gatherings and get togethers! Have you started baking yet? Do you make a list of what you are going to make, or just "wing it"? Well, you need to try these cookies! Seriously. You need these cookies in your life! Frostbite Cookies have been on my baking list for some time now, but December's Fill the Cookie Jar, was when I finally pulled them together. I have to control my excitement a bit on these cookies, I just love them so much. They are kind of a problem, because I am trying to control my sweet eating right now, so that I can indulge more at Christmas! They are the right balance of a crisp cookie, without being too crisp. And then that frosting? Get outta here! One of my co-workers was convinced there was another layer in these cookies, but my friend convinced him that was just the layer of love baked in :) While snacking on these during our weekly office meeting, one of my other co-workers started doing a cookie dance in his chair. Again. Seriously. These are that good! Preheat oven to 325 degrees. Line baking sheet with parchment paper, set aside. In large mixing bowl, beat shortening with electric mixer until creamy. Add sugars, beating until smooth and creamy. Add eggs and vanilla, mix until combined. In separate bowl, combine flour, baking soda, baking powder, and salt. Gradually add flour into sugar mixture. Mix well. Add oats and cornflakes, stir by hand until completely incorporated. Drop dough by rounded tablespoonfuls several inches apart on lined baking sheets. Lightly press down on cookie dough, just to flatten the slightest bit. (*See Note) Bake for 12 to 13 minutes, just until turning golden. Cool for 2-3 minutes on baking sheet, then transfer to cooling rack. Once cookies are completely cooled, microwave almond bark and shortening for 90 seconds. Stir well. If not completely melted, microwave on 15 second intervals until completely melted. Add peppermint extract (optional), stir well. Dip bottom of cookie into almond bark, let extra almond bark run off cookie into bowl. Place cookies, frosted side up, on wax paper until almond bark is set. **Note - I found that using a glass to just slightly flatten these was to much, so I just pressed ever so gently with two fingers. Worked perfect. These are so cute! 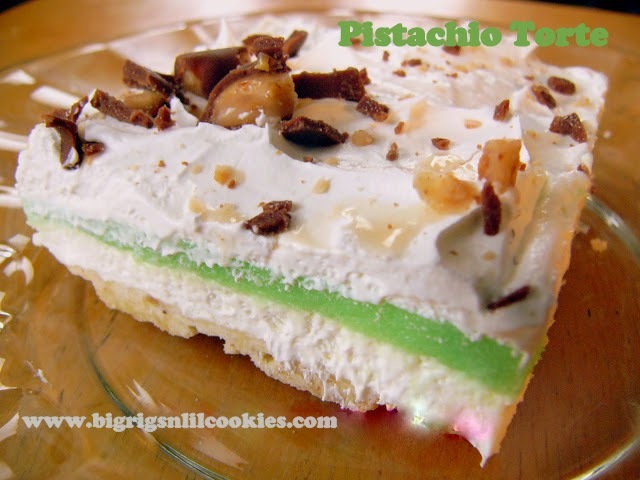 Perfect name for the little bit of almond bark on the bottom! Thanks!! I thought so too! OMG Kris, these are fabulous. First, I love the name and I love the all the ingredients. I have a feeling that grampy and I will adore these. I can't wait to make them. Thanks, Joanne! Please let me know if you and grampy love them as much as we do! These are beautiful and I can't wait to try them! I love the addition of corn flakes in these cookies. I am sure they give the cookies a bit of a crunch! I should make a batch and then hide them from my family! 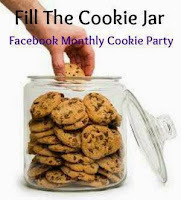 Thanks so much for being a part of the Fill The Cookie Jar group! I am always excited to see what you have been baking! The corn flakes were the surprise ingredient to me. Thanks, Cynthia! I love the name of these cookies. They sound delicious. It was the name that first got my attention! Thanks, Cheri! It's so fun that I brought on a cookie dance. That's a new one for me! These are beautiful and a must make for me this year - but I'll wait a little longer because this type of cookie would likely be a problem for me too! xo Pinning! Tis the season! Season for cookies! They look crunchy and delicious! It is definitely a good cookie on it's own. But that extra step puts it over the top! The name of thse is perfect with the ice of frosting! These sound so good. I just bought a bag of peppermint pretzels but they were $10! I need to figure out how to make some peppermint things at home. I will try these but with butter. Will that work? Butter should work, but they will be flatter so dipping will be more challenging. Watch your timing too. I would think they would bake faster. These look terrific and are going on the to do list! If they have people doing happy dances during meetings, they have to be good! I can't wait to make a batch! HaHa, Yes! You do know the value of a breaking into a dance in the middle of a meeting! I am heartbroken over this recipe! It looks amazing but my daughter has a deathly allergic reaction to tree nuts so I can't use anything that includes nuts. Is there anything I could use in place of the almond bark? You could use white chocolate in place of the almond bark. That would be a good substitution. These look so good! Def. going to have to pick up some cornflakes and bake a batch soon. Ty for the recipe! Cornflakes were my shopping item too. I need to keep them on hand! I love the way the house smells when you're baking cookies. And they make such nice gifts. Thanks for sharing the recipe. Agreed! Nothing like the smell of baking cookies!! My fingers had a little bit of frost bite to them today after moving all the snow we got overnight.. but I would rather have the frostbite with these cookies. I know that my hubby would love these as he likes a crisp cookie. I need to make him a batch of these to send back with him after the holidays. Hope you have a wonderful Christmas. Yes, if you have to have frostbite in your life, you want it to be only with these! Cookies are a holiday staple. I love using oats to bake with and these sound heavenly! If there are oats in them, they always end up being a favorite of mine! This would be a perfect cookie for the family!!! Those darn cornflakes seem to be the pantry ingredient that's always missing! Kris, these cookies look great. And my husband likes a bowl of cornflakes as a snack, so we always have cornflakes. Sorry I missed this before. Hi sweet Kris! I wanted to pop in and wish you a Happy New Year! I hope 2017 is filled with lots of love, joy, and sweet blessings. Hugs to you! I've heard of these cookies before, but have never tried them. They look fabulous! And that icing sounds amazing! I will definitely make a batch before the winter is gone! Hope things on the farm are running smoothly! Wishing you a very happy and healthy New Year! These look really good - thanks!